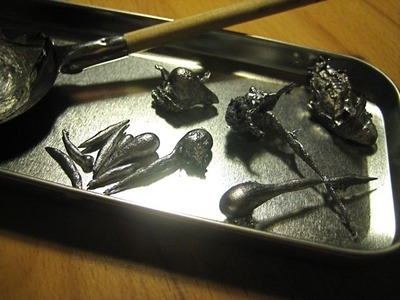 One of the reasons I am a little bit odd, might be that my parents let me play with lead when I was small… And I don’t mean lead as in the ‘lead pipe with Colonel Mustard in the Library’ kind in the Cluedo game, I mean molten lead! I mostly enjoyed doing the actual casting. The moulds we used were from Ireland, Cork. But we also had a pre-WW one from our grandfather. Bad pic, but see how this headless soldier is trying to outrun it’s pretty red and white lead oxide. Bless! 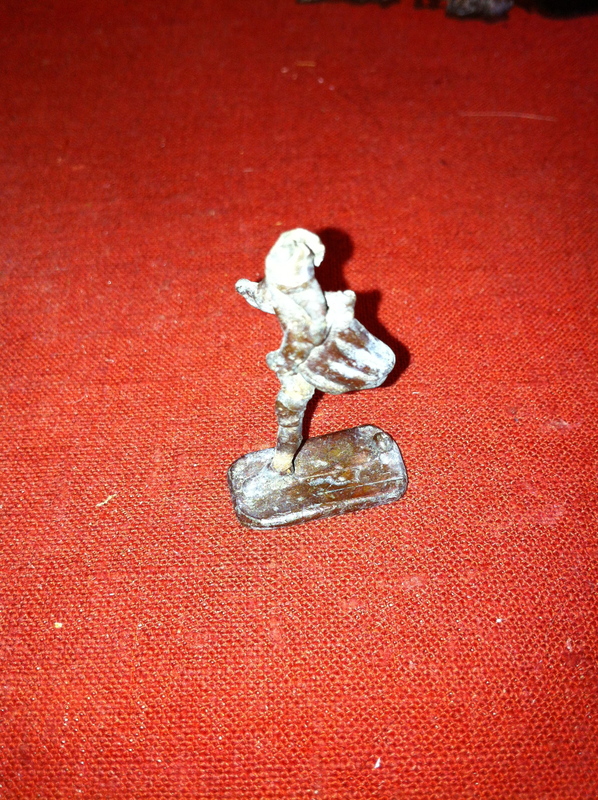 What I loved most were the miscasts… The little un-soldered soldiers, with the strangest parts missing. Sadly most of those were simply remelted, instead of being sent to war. 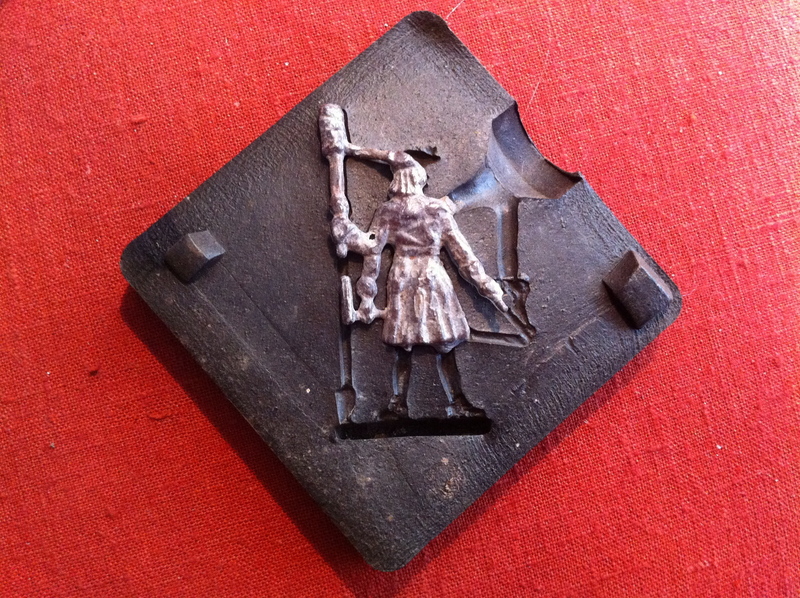 We soon became experts in the typical character of each of the moulds. And what would be the special ways in which to work them to get the best result. How to tilt them, tap them or press them together while pouring in the lead. I remember that the guns were always the trickiest. They took longest to cool, and the round barrels could have all kinds of dents and glitches due to shrinkage…. I guess I never really considered how much this game actually taught me about the manufacturing process. Not in the least the lesson that melting lead in the shed would give you a pretty good headache after a while. It also taught us to tell the weather. Pouring molten lead into water at room temperature would result in a wonderful (and in this case just forget dangerous) ballet of spluttering steam. We would be left with either a wildly shaped stream of lead, caught in action… or a pile of loose drops at the bottom. In case of the latter there would be rain!